"We wanted one! We needed one! We now have one! Thanks @kitchen.collab for giving the Tahoe Food Hub non-profit board a tour of your rad new community kitchen! It has SIX kitchen suites, a bakery area and loads of storage and prep space! Great for private chefs, caterers and specialty food producers. Get making food Tahoe! Check out their website for affordable rates." "The Kitchen Collab is Truckee's culinary knight in shining armor. Finally, a place, where chefs and culinary professionals can go and make their magic happen. Until now, there was very limited kitchen space in the area and it was very pricey. The Collab has lots of space and has a few different pricing levels to facilitate even the smallest of businesses. I love the layout, all the equipment and the extra spaces to do all kinds of different events. Thank you Alex, for dreaming so big, and making it happen. Now you've given the rest of us a place to go, to follow our dreams!" "I started working out of Kitchen Collab in the Summer of 2018 and it has quickly become an invaluable asset to my business. Access to this range of commercial equipment, something I have only had at places like the Ritz Carlton, allows me to safely and efficiently prep for parties ranging from 4 guests to 2500 people to date. Additionally, the support provided by the management has proven to be flexible, encouraging, useful and approachable. 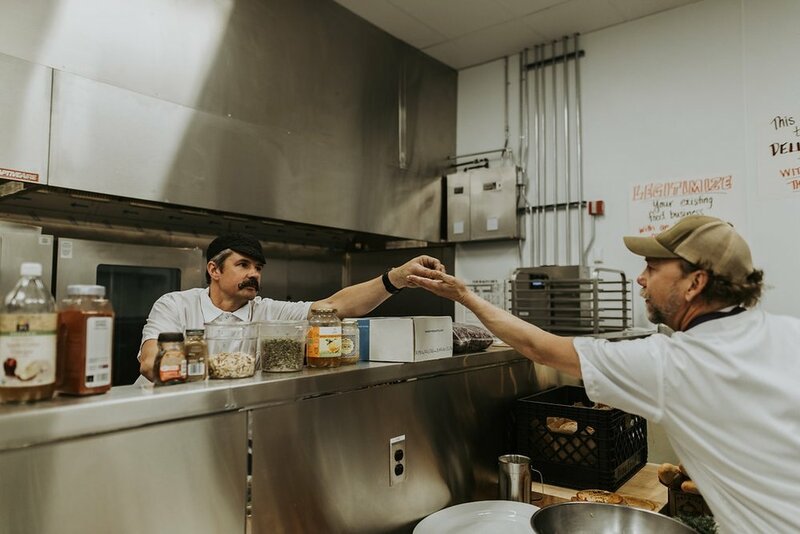 What Alex and his staff have created here at Kitchen Collab is truly an incredible commercial kitchen where the staff collaborates to help you achieve your goals. Truly, if your time is money, the resources you can access at this place will save you tons of time and money-do yourself a favor and go for it!"